During a Primal Detox it’s important to use the most organic ingredients where possible, including your daily toothpaste. Now you may be wondering why, but what you’re probably not aware of is that toothpaste (like shampoos and deodorants) is riddled with harmful ingredients that nature didn’t create itself. Over the course of a typical lifetime we use up to 2 gallons of toothpaste and when you think about all of the harmful ingredients that are in toothpaste and the fact that, although we spit toothpaste out, some of it still remains inside our mouths. The toothpaste that is left inside your mouth then makes it’s way towards our bloodstream which is a big no no. The main toxic ingredients that can be found in toothpaste are triclosan, sodium lauryl sulphate, aritifial sweeteners, fluoride and diethanolamine. In a nut shell these ingredients have all been linked to health problems, including breast, ovarian, prostate, and testicular cancer, bone problems, skin irrational, tissue damage and hormonal problems – to name a few. A great article to read is Mercola which really goes in depth about the risks of the ingredients found in toothpaste. When it comes to making my own toothpaste I like to use one of my favourite superfoods, coconut oil. Coconut oil (I cover a lot about it in the book) has some amazing health benefits and can be greatly used for our health and wellbeing, too. 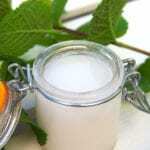 This is why I’ve used it for my homemade mint toothpaste recipe, along with baking soda, salt and fresh mint. There are absolutely no added chemicals or other nasties added to coconut oil so it’s extremely fine and healthy to use it for cleaning our teeth daily. Plus, it also has proven benefits for a great smelling breath. Bonus. This recipe is incredibly easy to make and you’ll probably already have the ingredients sitting in your kitchen cupboard. If not, you can find coconut oil in your local supermarket or drug store – just make sure it’s organic and natural! A favourite of mine is Lucy Bee’s Coconut Oil. So why not give the recipe a go below and make your own organic and healthy toothpaste? Make it and then store it in a jar and get up to 30 servings out of it. It’s a perfect recipe for a much healthier, toxic reduced toothpaste! Also, I’d like to note that this recipe doesn’t have to be used purely for your Primal Detox either. Simply include it in your daily routine and say bye bye to toxic ridden toothpastes! 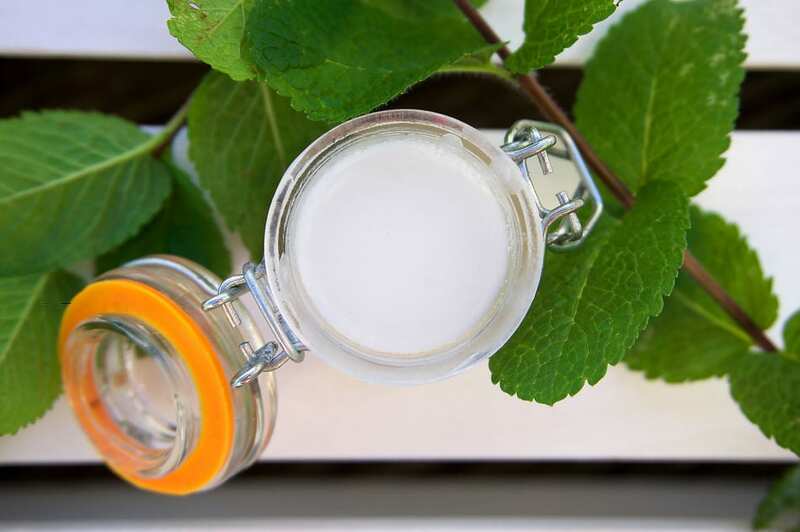 A primal alternative to your daily toxic toothpaste using coconut oil, baking soda, salt and a little fresh mint. Add all of your ingredients to a bowl and stir together until everything has combined. 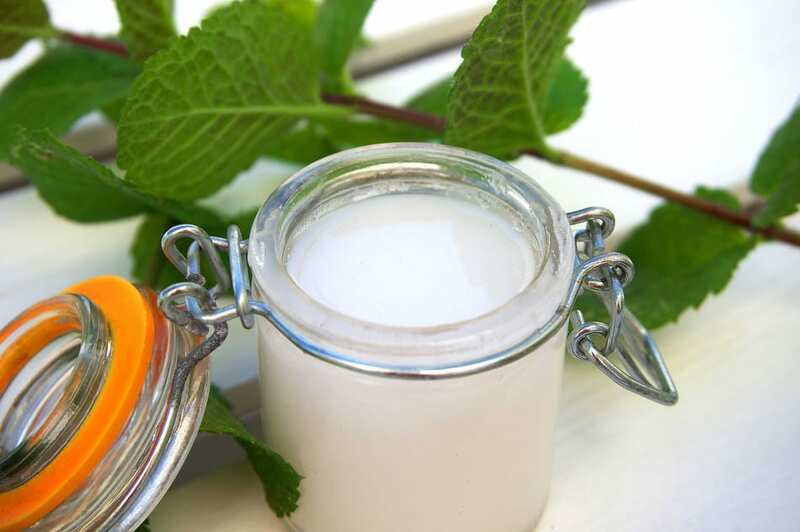 Pour into a small glass jar, add some fresh mint (optional) and secure the lid for best keeping.